The plight of immigrants in the United States is an issue too often disregarded by the mainstream. March 11, 2009 marks an important moment in the history of immigrants' rights. This is the date of the death of Roberto Martinez Medina. He was a man who had committed no crime, other than living and working in the United States without proper documentation. He died while under the custody of Immigration and Customs Enforcement (ICE) and while being detained at the Stewart Detention Center, owned an operated by the Corrections Corporation of America (CCA). This is a detention facility in Lumpkin, GA, a rural town in one of Georgia's poorest counties. Proper medical facilities are located in Columbus, an hour-long drive away. This can pose a challenge when the need arises to provide detainees with proper medical attention. Mr. Medina's cause of death was a heart infection, which is an ailment that with proper medical attention does not have to be fatal. The ultimate cause of death of Mr. Medina may be attributable to neglect. On Friday, November 20, 2009, protesters gathered in the small town square of Lumpkin, GA, in front of city hall for a mock funerary procession and vigil in memory of Roberto Martinez Medina. Close to 100 people from throughout North America marched together from the town square to Stewart Detention Center, where Mr. Medina had been detained. It was a solemn procession. Members of the Lumpkin community observed silently from their porch decks and their cars. They had likely never seen anything similar, as the procession contained several large, tall puppetistas. The media was present and a young woman named Pam Torres gave her account of her experience as part of an immigrant family. Her father had been living in the United States for about 20 years, yet he lacked the proper documentation to live in the United States legally. Unfortunately, one day he was caught by ICE and was sent to a detention facility in Louisiana before being sent back to his home country of Honduras. The mistreatment is immigrants is an atrocity we should all be aware of, and we must acknowledge that the status quo is anything but acceptable. This year AFSC/Atlanta worked with the Progressive Student Alliance of Georgia State University to organize and subsidize transportation for 40 students and youth from every corner of Georgia to attend the School of the Americus (www.soaw.org). 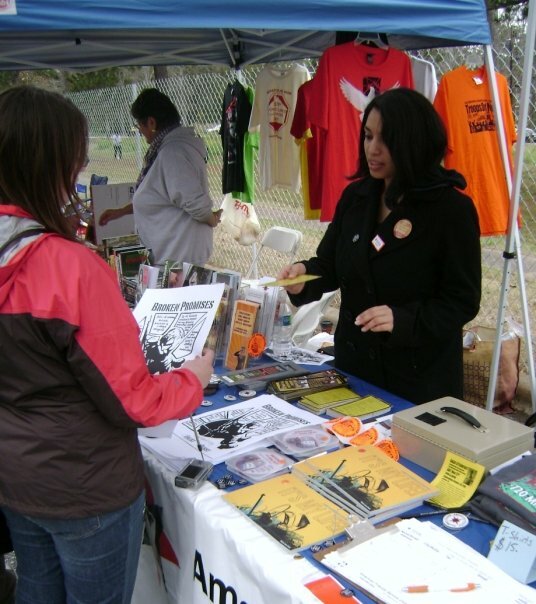 AFSC outreached to college campuses around the state, held fundraisers, and School of the Americas Watch educational events leading up to this year’s landmark vigil at the gates of Fort Benning. AFSC/Atlanta also facilitated a workshop that was an official part of this year’s SOAW program entitled, “How to take back you school from the military.” Each attendee received an organizing packet that included a step by step guide on how to build a counter recruitment movement on their campus. 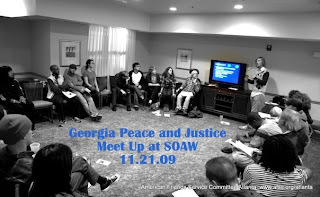 Over sixty people attended. Attendees hailed from campuses and communities all over the country. 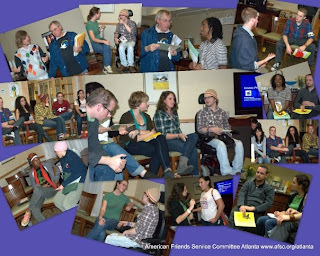 We also participated in the Georgia Activist meet-up Saturday night along with many other Georgia based organizations. The one thing everyone noted at the meet-up was that the average age of folks at this year’s meet-up, which happens every year during SOAW, was dramatically lower. We also tabled all weekend at the gates of Fort Benning. AFSC volunteers and Interns took turns staffing the table, educating folks about our counter recruitment efforts, passing out information about the “One Minute for Peace” campaign, and selling our fair trade Palestinian olive oil. We all got to hear John Meyer from AFSC announce from the stage that AFSC had nominated Father Roy Bourgeois, founder of SOAW, for the Nobel Peace Prize. Many in the crowd didn’t know that AFSC was a former recipient of the award. 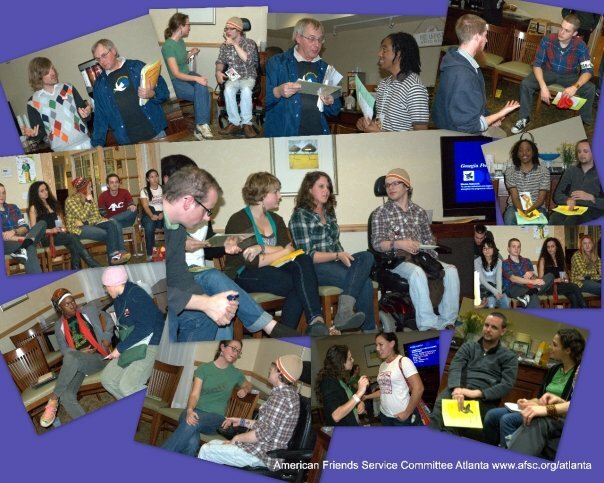 It was an exciting weekend for AFSC/Atlanta! 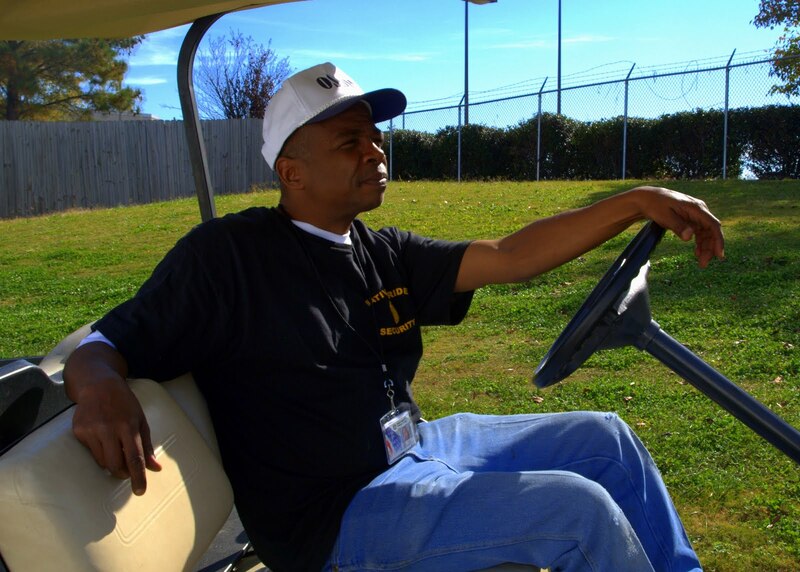 Anthony served in the Army from 1979 to 1983, then he served till 1986 in the reserves. Anthony stated, "I got caught up in the economic draft, didn't see any other opportunities". 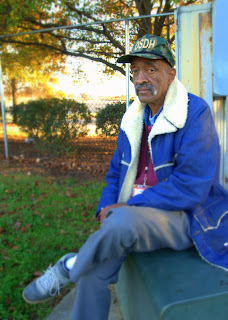 He still remembers catching the bus on Thanksgiving day to head to boot camp. Anthony plans to attend next years Huntsville stand down as a volunteer stating, "I have a passion for helping people." Anthony spent most of the weekend being of service to others, helping cook meals, arrange beds, make sure everyone had what they needed. Darrell served in the Army from 1979-1981. He enlisted because he got his girlfriend pregnant and felt that the army would provide him with the job skills training he would need in order to support a family. In 1980 Darrell volunteered to participate in an experiment involving a black pill that was designed to counter act the effects of chemical warfare. Darrell claimed that he and others became very ill and that most of the guys that went through the experiment with him with him were given a dishonorable discharge. Darrell says his nerves have been messed up every since and that he still has nose bleeds to this day. 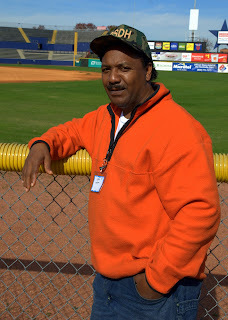 Darrell used the weekend to relax, enjoy fresh air, and file social security papers. James has been homeless for over a decade and hopes to use the stand down to get legal advice, research employment opportunities, and relax in a safe environment where he’s treated like a human being. Mark served in the Army from 1985-1993. Mark joined to get college funds and job skills training. While in the Army Mark felt that he was not treated fairly, expressing that life seemed easier for white enlistees. 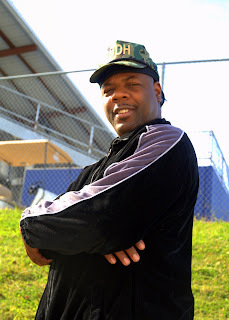 After an honorable discharge Mark got a degree from the University of Maryland and got a great job. 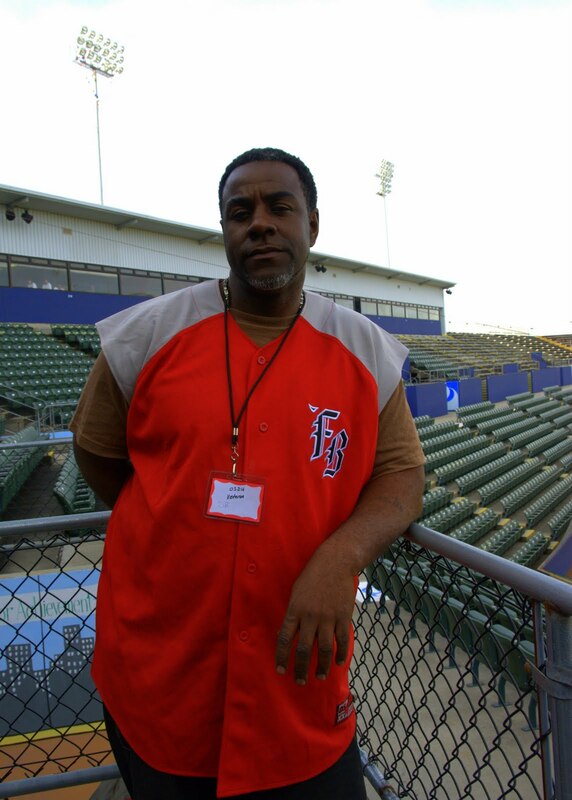 Mark fell on hard times after losing thousands of dollars due to identity theft. Mark is no fighting the VA in a effort to receive the combat pay he never received stating, “I would not be homeless if I had gotten the combat pay I was promised”. 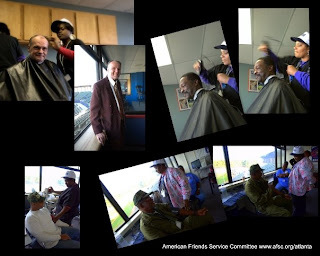 Mark used the weekend to meet with VA officials to change his credentials, get legal advice, and find some peace and comfort in a safe environment. 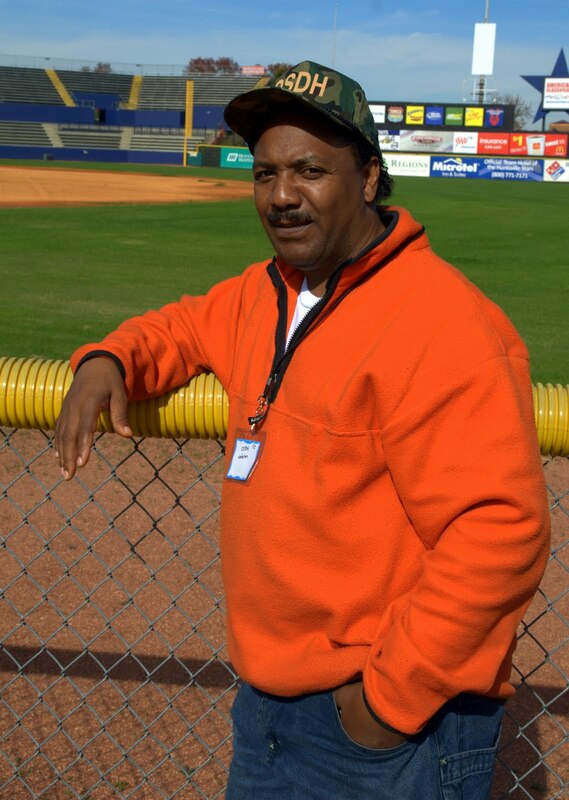 Salomon spent more than one year in the Army between 1988 and 1991. He remembers the contentment he felt the day he was discharged, but he did not foresee the arduous times he was about to confront. "Coming back home was not easy," he said. He had to confront what he describes as "a very stressful situation"
Addictions came as an easy way to cope with all the stress. As a consequence, he endured a separation from his spouse and afterwards lost contact with his brother. Bridges became unemployed and subsequently homeless. With a hopeful attitude he looks forward to medical and psychological assistance. He suffers from PTSD and personality disorder in addition to his injured leg. He does emphasize the fact that he is in a better position now and is eager to help others who have found themselves in this situation. However, he consciously acknowledges that he must help himself first in order to do so. David served the US MC from 1974-1976. When he was 17 1/2 years old and without high school diploma he was deployed front line. He remembers noticing how scared the other 17 year olds were. While in the service he witnessed fellow soldiers take their own lives. However, the war took a toll and he is still struggling with PTSD and depression. 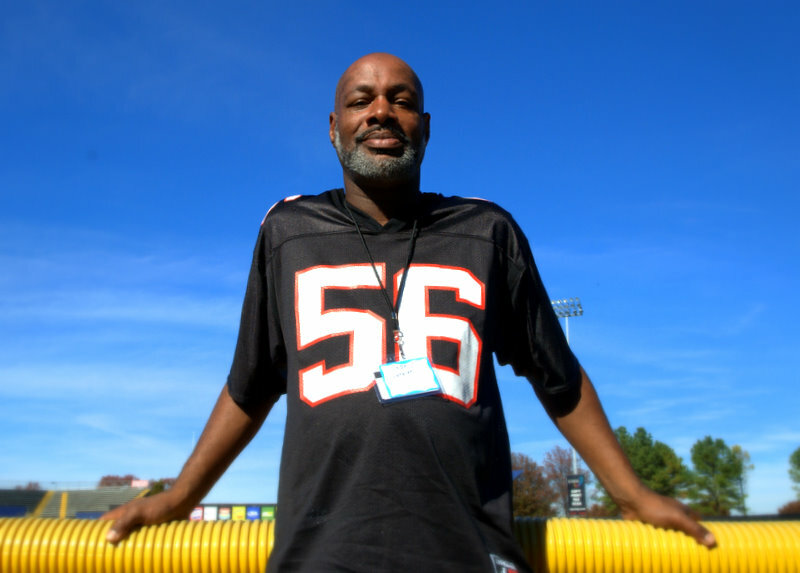 He hopes to find a better way to make a living along with psychiatric medication and the needed therapy. He would like to meet other veterans and share his experiences. David also has a passion for music and sound mixing. David is in pursuit of a career in the music industry. 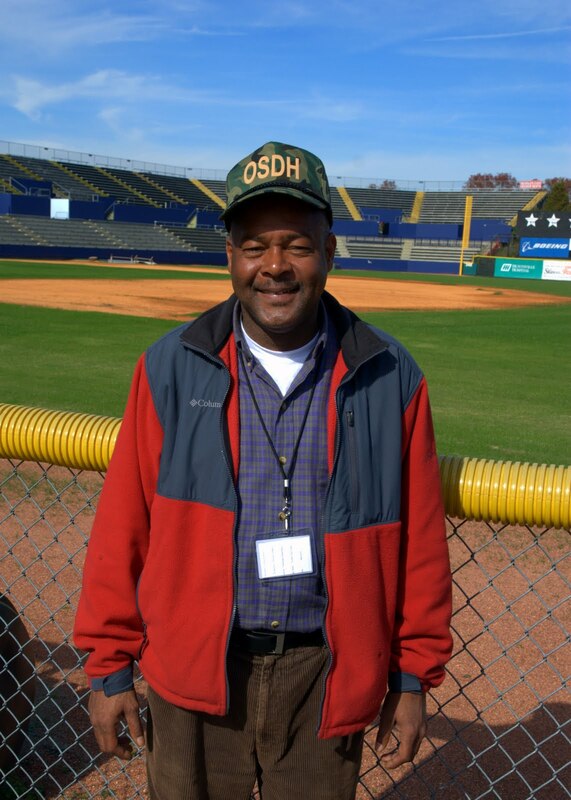 Leroy is a US Navy veteran who served in the years of 1984 and 1988. His "weapon specialist" experience did not help him to get what he calls "a real job" and he had to settle for a job in a prison. With that job came stress and with it alcoholism, which caused him to lose his wife, children and home. 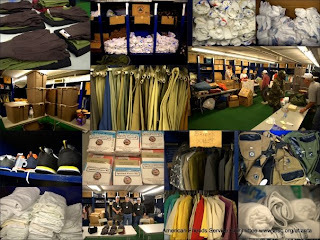 He shares a passion for helping veterans and in spite of his situation he helps other veterans in through the process of obtaining their basic needs. He hopes to seek out more veterans and network this weekend. While on his second enlistment Mitchell became very depressed at the news that his wife was leaving him. After requesting to discharge Mitchell was put on various medications and thus began his trips in and out of military hospitals. Mitchell was processed out of the Army in ’79 on chapter 13(separation for unsatisfactory performance). Since being discharged Mitchell has complained of experiencing symptoms of PTSD but claims the VA needs more evidence before they will treat him. 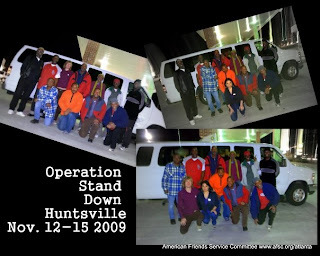 Mitchell was very excited about participating in the Huntsville stand down. 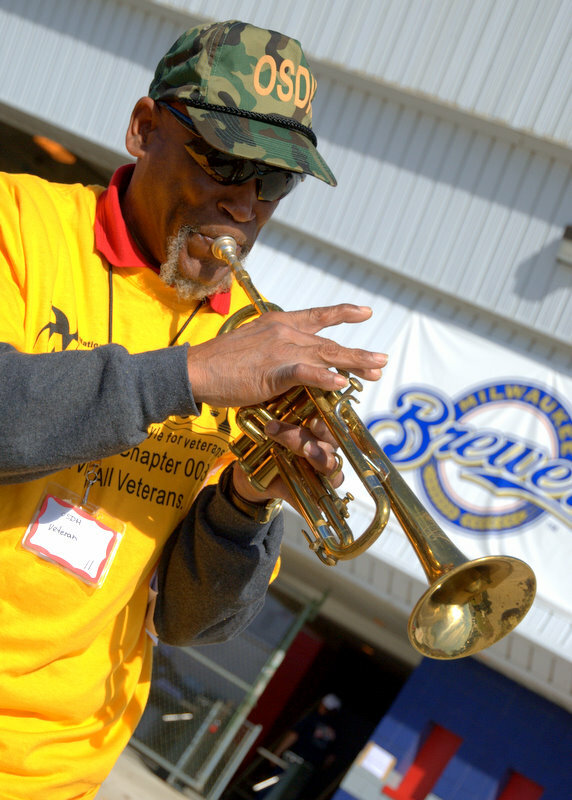 Mitchell enjoyed socializing with other veterans and volunteers and playing his trumpet for everyone. 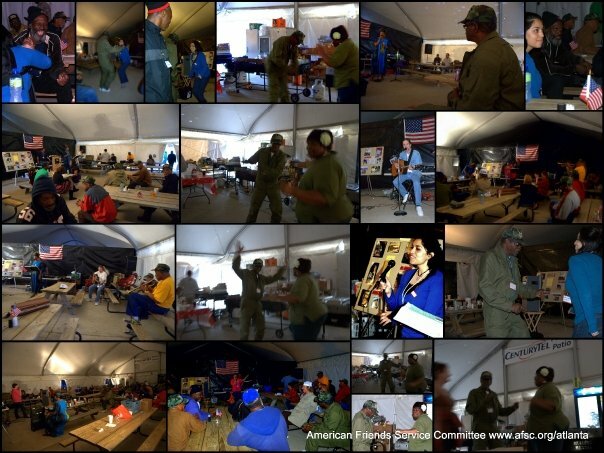 Mitchell was proud to play the star spangled banner for everyone during the opening ceremony for the stand down, he got an enthusiastic round of applause! For those of you that live in Atlanta you can see Mitchell playing outside of MJQ and the local, and sometimes the Fox Theater for tips. Mitchell's passion for performing is so strong that he couldn’t help himself from busting out his trumpet during our interview and playing a few tunes. In times of war, exhausted combat units requiring time to rest and recover are removed from the battle fields to a place of relative security and safety. Troops are able to take three days to able care for personal hygiene, get clean uniforms, enjoy warm meals, receive medical and dental care, mail and receive letters, and enjoy the camaraderie of friends in a safe environment. They call these down times stand downs. For many veterans the battlefield doesn’t go away when they come home. Many face a battle to re-adjust to civilian life. 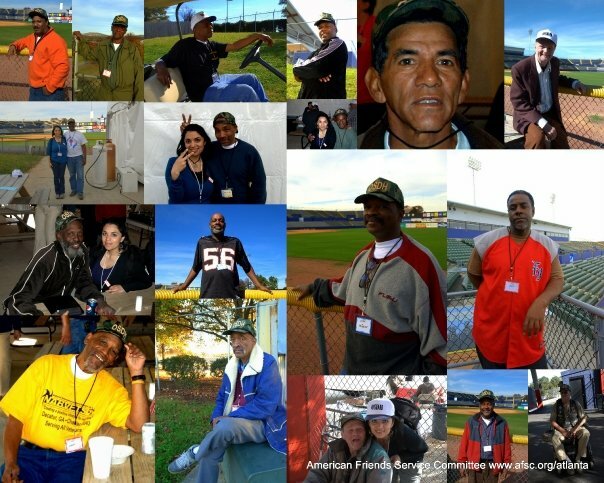 The VA estimates that there are 260,000 homeless veterans in America. 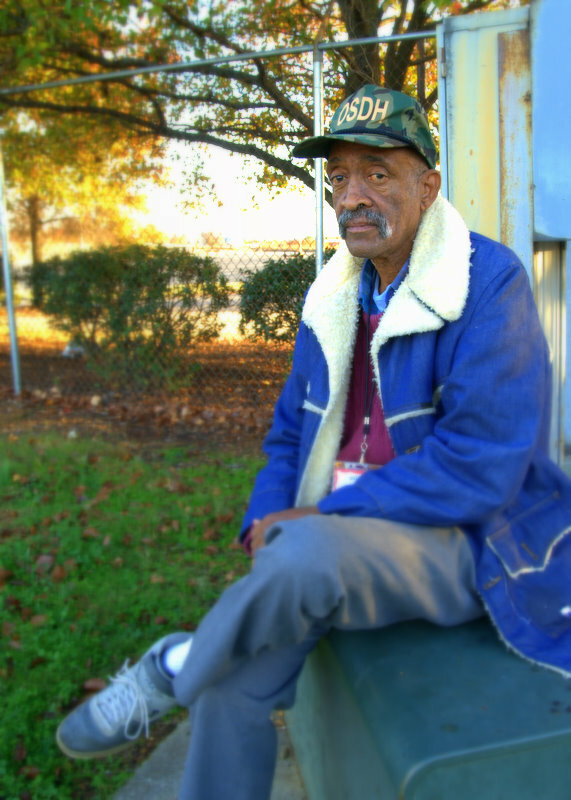 Many homeless veterans suffer from PTSD, addiction issues, and physical disabilities. In 1988 a pair of Vietnam veterans decided to do something about the comrades they saw falling through the cracks of society, forgotten by those that had at one time beaten the drums of war. They started domestic Stand Downs. 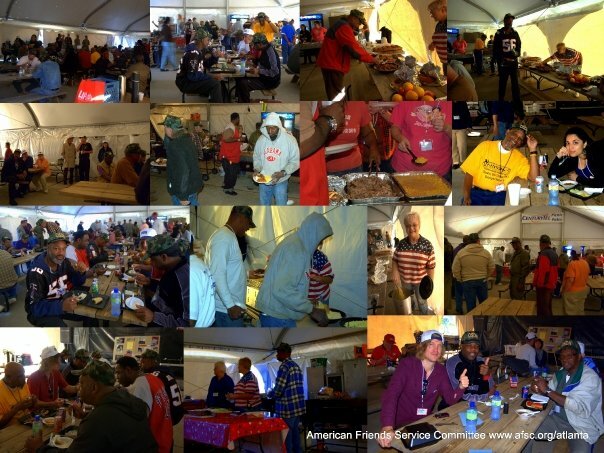 Stand Downs provide a safe place for homeless vets to spend three days receiving legal advice, eating warm meals, getting new cloths, haircuts, medical attention, entertainment, and just socialize with each other. 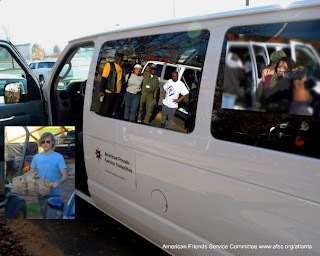 AFSC’s Peace Building Program was recently asked to help the National Association of Black Veterans (NABVETS) to help them organize homeless veterans form Atlanta to go to Huntsville, AL for a three day stand down. 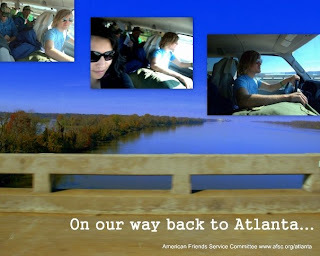 We decided to take them up on the offer, and document the trip. What we’ve seen is very hopeful. Though all of the veterans that road to Huntsville with us have many obstacles to maneuver around, they also have many passions, and a drive to fulfill unfinished plans with their lives. The stand down brings new hope in navigating through the maze of paper work required to a claim for benefits, to receive free services, maybe find a job, and relax for a few days with people that are rooting for them. Darrel Delaine, chairman of the Huntsville Stand down and UAW Union member, noted that past stand down attendees have made progress over the years. Delaine pointed out several volunteers at this years stand down that were homeless during last years stand down. 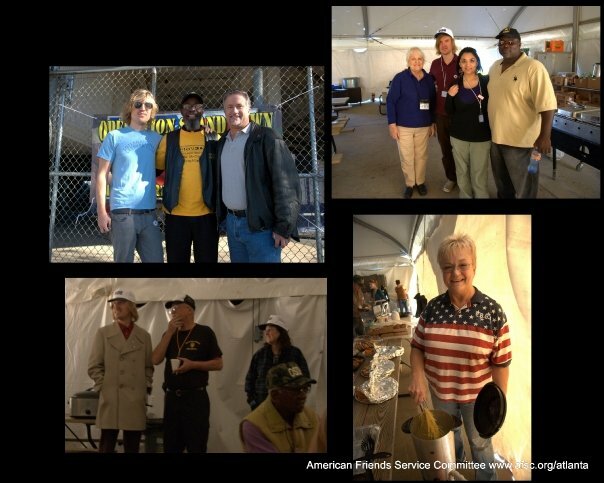 We had the chance to spend time with volunteers, many of whom were veterans. Often times we found ourselves in awe of the deeply meaningful work the organizers of the stand down are doing. 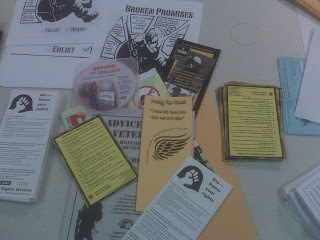 For these volunteers, “support the troops” means more then slapping a yellow magnet on their car during a time of war. As we interviewed veterans at the stand down it was clear that many of them joined because they believed it would be a ladder out of poverty. For them, and countless others, the ladder has gone elsewhere.